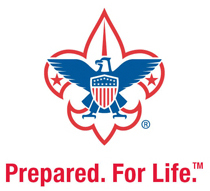 Scouting for Food is the largest one-day food drive in the Boy Scouts of America. Started here in Minsi Trails Council in 1986, Scouting for Food has collected more than 3.25 million pounds of food for area food banks. Each year, our Scouts, leaders, and parents collect approximately 200,000 pounds of food. The Scouting for Food effort is important since many area food banks are experiencing significant food shortages this year . Nearly 40 percent of food bank donations go to help feed hungry children, so the Scout food drive is in large part about kids feeding kids . All local food donations stay in our local communities to help support area food pantries.